Despite the bashing pumpkin beers have taken over the last couple of years, we’re secure enough in our craft beer manhood to admit that come October, we still enjoy a gourd-inspired beer, especially if it’s done well. We also appreciate its contribution in recent years as a gateway beer style that’s lured countless people into the craft beer world. That said, we also know how divisive it can be, which is exactly why we chose it for our latest blind tasting – nothing like a little controversy to get people’s attention. Despite the initial deflated spirits of the hop heads on our tasting panel, a good time was had by all. As part of our busy long weekend of craft beer craziness, which included visits to four new breweries, a festival, and running the craft beer mile (more on that in our next blog), we invited 11 reputable beer drinkers to join us at Craft Beer Cellar in Belmont where we blind tasted 11 pumpkin beers from Massachusetts breweries. The WTF expressions on some faces, especially considering no one knew the beer style until they arrived, wasn’t unexpected, but there’s nothing like free beer (and geeking out about it) to put people in a good mood. Needless to say, everyone had a good time. Among the headless horsemen we clinked glasses with were beer taster extraordinaire Bethany Baker (LipstickNLager on Twitter), part-time beer rep Tyler Cameron, home brewer and Hoppy Boston blogger Ryan Brawn, New England Brew Guide founder Bobby Brewguide, Gothops blogger Edson Gebo, commercial brewer Isaac Boucher and his wife Lauren, blind ultra runner Kyle Robidoux, friend Eric Murray, beer geek Matt Paris, otherwise known as CaptainAsshat on Instagram, and his son Jake, a beer geek in the making. The format was pretty simple: CBC co-founder Kate Baker graciously poured tastes of each of the beers, then we shared our thoughts, which ranged from comments like, “mmm, beer” to more sophisticated responses such as “great mouthfeel, nice finish, hint of cinnamon and clove. I could drink this at a Halloween party.” The first round included Ipswich Ale Pumpkin Porter, Wormtown Fresh Patch, Jack’s Abby Pumpkin Crop, and Cisco Pumple Drumkin, with the latter’s nice spice profile edging out the sweet, almost cidery Jack’s Abby selection. If we’d had a fourth place finisher it would have been Pumpkin Crop. In what was clearly the most diverse grouping, round two featured Slumbrew’s Slumkin Pumpkin, Cambridge Brewing Company’s The Great Pumpkin Ale, Westfield River Brewing’s White Pumpkin, and Hitchcock Brewing’s Nice Rumpkin Roasted Pumpkin Ale. Despite its distinction as the first pumpkin ale brewed in Massachusetts, the delicate flavor of Great Pumpkin was outdone by Slumkin’s bolder, boozier taste. With three beers left, we ripped through the last preliminary round, sending the dark, roasty Cape Ann Brewing’s Fisherman’s Pumpkin Stout past the hoppy Pie-PA from BeerWorks and the subtler Pumpkin Ale offering from Merrimack Ales, and into the final taste off. 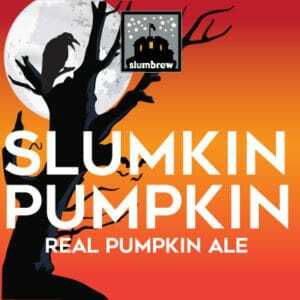 Slumbrew Slumkin Pumpkin, winner of our blind taste test, is available at liquor stores or on tap at the American Fresh Brewhouse in Somerville. As palates were feeling a bit of pumpkin spice fatigue, we decided to pour and taste the three finalists side by side to determine our winner. While each had something admirable to offer, it was the adventurously boozy and full flavored Slumbrew Slumkin taking the top spot, with Cisco’s Pumple Drumkin and its quintessential pumpkin spice flavor finishing second, followed by Cape Ann’s dark and balanced Pumpkin Stout in third. So what did we learn about our little monster mash? 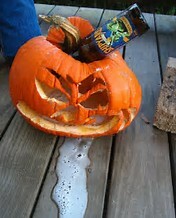 Admittedly, there’s probably good reason pumpkin beers have declined in popularity over the last two years. The pumpkin-flavored everything mentality is a bit overwhelming these days, and season creep certainly isn’t helping. We still like a good pumpkin ale, in moderation, and in the fall, but we plan to be a little more selective in the future. 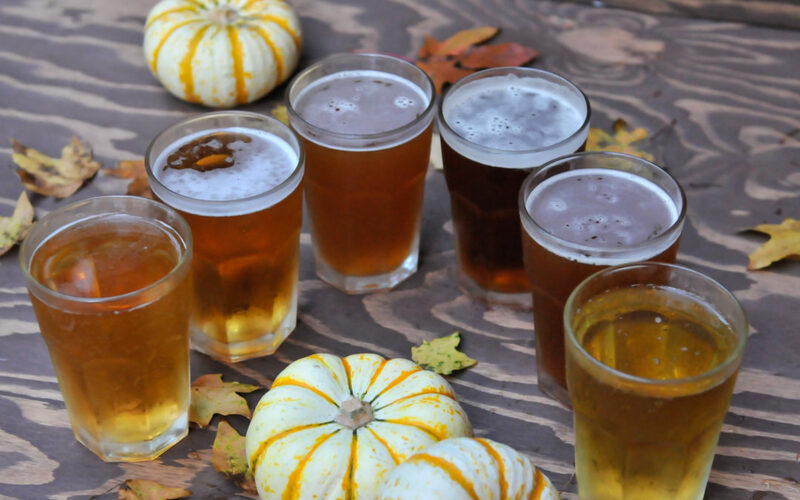 If breweries aren’t making a distinctive offering, or have limited consumer demand for pumpkin beer in their taproom or local beer stores, it may be time to switch to a different seasonal offering. 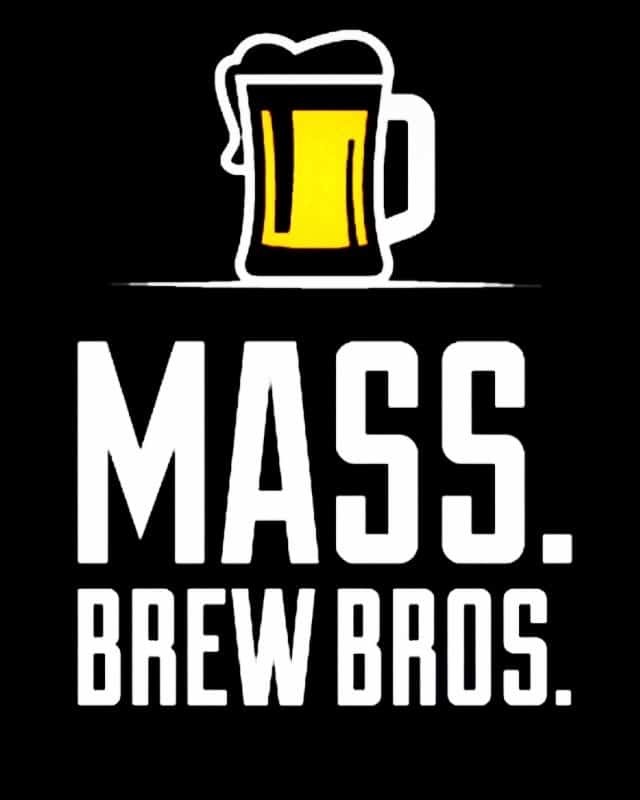 Let us know if you have a favorite pumpkin beer from a Massachusetts brewery that we didn’t include in our taste test. And let us know if you’re interested in joining us for our next blind tasting event, probably in November or December. We plan to taste porters at that one. Cheers.